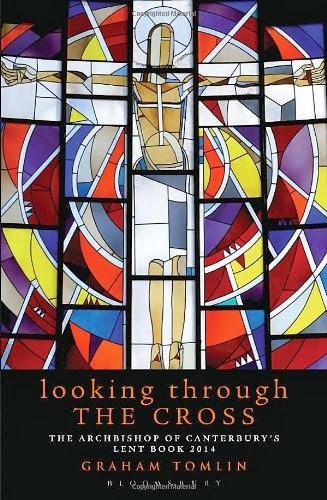 "Looking Through the Cross" is the title of the Archbishop of Canterbury's Lent Book for 2014, which I wrote last year, and was published a little while ago. Here is a small excerpt from the Introduction. The book can be bought on Amazon here. Looking is something we do all the time. From the moment we wake in the morning until we close our eyes before sleep at night, if we have the precious gift of sight, we spend all of our days looking at things. It is so natural a part of our lives that we barely consider it. It is the kind of action, like breathing or talking, that occurs unconsciously, without our noticing that we are doing it. At this very moment you are looking at this page, or perhaps a screen, if you happen to be reading this as an e-book. If you look up from where you are sitting or standing, as no doubt you will in a moment, to take a break from the concentrated focus of reading, you will be able to look at a whole range of things, people, buildings, landscapes. Looking is different from seeing. Seeing is a more passive activity. We see a passing car, a dog on the pavement, a film at the cinema, a flock of birds in the sky. When we see things, we do not really consider them, or perhaps even think about them. We ‘notice’ them, observe them, perhaps register in our minds that we have ‘seen’ them, but little more. Looking is a more purposeful activity. When we look at our reflection in a mirror, at the cover of a book, or at a photograph in a magazine, we gaze a little more intently, we pause, focus and try to take in what we see. And there are different ways of looking. We can look at things. When we do this, we focus our attention on the thing we are looking at. We might come across a striking statue in a museum or a town square. We might walk around it, considering it from all sides, seeing how it fits into its surroundings, examining its contours, colour and shape, wondering how it was made, pondering what it tells us about the sculptor or what it is trying to say about its subject. To look at something is to make it the focus of attention and to try to understand it on its own terms, or in its environment. But that is different from looking through something. We look through a window, or a pair of spectacles. A little like seeing, with this kind of looking, we are barely aware that we are doing it. When you look through a window, you are rarely aware that you are doing so. You at gazing at the object you see out of the window. The point of the window is to enable us to see what it beyond it, but in such a fashion as to not get in the way, to provide a transparent view, and to give us a clear sight of what we are seeing. It is similar, but also a little different, when it comes to looking through spectacles. When I put on my glasses, as I do first thing in the morning, from that moment on, I am hardly aware that I am looking through them – they have just become part of the way I see. And yet I notice when I take them off. Everything then becomes blurred, uncertain, hazy. My glasses enable me to see, but not by giving a kind of neutral, transparent film, as a window does, but by actually changing the way I look at something. I do not ‘see’ my spectacles, I do not ‘look at’ them – I look through them, and in the very act of looking, they change the way I see the world. Eastern Orthodox Christians make extensive use of icons in worship and prayer. To the untrained western eye, these look like pictures images of Christ or the saints, to be looked at, studied or contemplated. Yet icongraphers and ordinary Christians in the east insist that an icon is not something to be looked at, but looked through. There was an old test of whether an icon writer’s work was valid as a true icon – can you pinch the nose of the figure in the icon between your thumb and forefinger? In other words, does anything stand out from the surface of the icon in such a way as to make it three-dimensional, rather than two-dimensional? An icon suitable for prayer or devotion very definitely needed just two-dimensions, not three. Why? Because if an icon has three dimensions, it becomes an object. It becomes something to look at, to examine in itself. You can, as it were, walk around it and look at it. The icon itself becomes the focus of attention, its colour, beauty, sense of proportion and so on. On the other hand, if it has only two dimensions, it becomes something to look through, not at. A window has, as it were, only two dimensions – height and width – it does not really have depth, or at least, the depth is not important, as it is transparent. An icon of Christ is intended as a window into Christ, so that you look through the image to the real Christ beyond it. At the same time (like the spectacles we considered just now) it shapes the way we look at Christ, by helping us see a distinct image of him. A three-dimensional icon becomes no longer an icon but an idol. 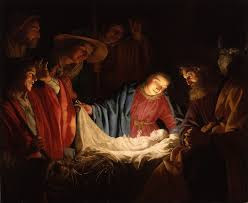 It becomes something that stops us looking at Christ and just our image of him, which is why the Old Testament, and many Christian traditions since then, warn against making images of God. Eastern Orthodox iconography can only avoid the charge of idolatry by maintaining this strict distinction between looking at and looking through. This book is an act of two kinds of looking – looking at and looking through. Firstly, it looks at the cross, trying to understand more about this strange idea, that (as Christian theology has always claimed) God allowed his Son to die a gruesome and painful death. It tries to understand what that means and why it was in some sense necessary. The first two chapters therefore look at what the cross tells us about God and about ourselves. The rest of the book is an exercise, not so much of looking at, but in looking through. It proceeds to view the cross, not only as an object to be studied or examined, but also as a lens through which we might look at the world. We will be trying to use the cross as a kind of lens through which to look at a whole series of aspects of contemporary life and experience. We will try to see how life looks when seen through the lens of the cross. It is in experiment in transparency, seeing the cross as an interpretive key for looking at the world. Sometimes we have to look at a pair of spectacles or a pane of glass in a window to understand how it is made, why it works. To serve as a good pair of spectacles they need to work well, and so an understanding of how they work, how the frame fits the glass, how the glass is designed is vital. However, spectacles and windows are primarily for looking through, not at. In the same way, the cross repays close attention to help us see what it is, why it happened, and how it affects us . However, it also can serve to help us see the world differently. What might it mean to live in a world in which the Son of God gave himself up to death at the hands of human beings like you and me? What does that tell us, not just about God and ourselves, but about issues such as ambition, failure, weakness, suffering, society? Looking through the cross is in a way, an exercise that demands a certain kind of faith. Putting on a pair of spectacles can make the whole world look clearer and more distinct. Put on the wrong pair, and it makes it worse. Everything becomes more blurred and hazy. It can even give you a headache. How do we know whether 'looking through the cross' in this way will improve, not damage our vision? There are a number of voices that would argue that the cross, as a symbol of violence and punishment is the last thing we should take as our key for looking at the world. We will be looking at these arguments from time to time as we go through this book. However for the time being, we have to just take a chance. How do you know whether a pair of spectacles will improve your vision? There is only one way: to try them on. This book is an exercise in doing just that.